The contract between CHE REGALI - G.M.B.H. and the customer is considered entered into upon the acceptance- or part-acceptance of the order by CHE REGALI - G.M.B.H. By placing the order, the customer confirms his understanding of all information provided during the purchasing procedure and accepts in their entirety both the general terms and conditions as set out below as well as the payment conditions. If the customer is a consumer (i.e. a physical person who is buying the goods for purposes not connected to his trade, business or profession), then upon completion of the online purchasing procedure he should print or save an electronic copy of the general terms and conditions relevant to the agreement and keep them safe in accordance with Articles 3 and 4 of Legislative Decree 185/1999 relating to distance selling. The customer has no right to damages or compensation, and the company bears no contractual or non-contractual liability for direct or indirect damages to persons and/or property, which may arise from the total or partial non-acceptance of an order. 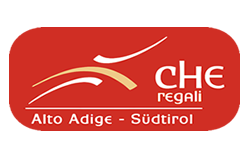 The customer may only buy those products which are offered in the on-line catalogue at the time of ordering, which can be viewed at www.cheregali.com www.cheregali.com and which are described in the corresponding information sheets. Pictures of products in the information sheets may not exactly match product characteristics, and colours, sizes and accessories may vary. All sales information (product lists, purchasing guides, etc.) should be considered only as general information material, which does not necessarily apply to individual products. CHE REGALI - G.M.B.H. will confirm receipt of orders by means of an e-mail sent to the e-mail address provided by the customer. This confirmation shows the date and time of the order, as well as the “customer order number” which must be quoted in all future communications. The e-mail includes all data given by the customer, who is required to check this closely and immediately inform CHE REGALI - G.M.B.H of any changes. If an order is not accepted, CHE REGALI - G.M.B.H guarantees to communicate this to the customer in due time. For credit card purchases, the financial institute concerned authorizes payment of the purchase amount at the time the online transaction is completed. CHE REGALI – G.M.B.H. reserves the right to charge credit cards one day after shipping of goods or as otherwise agreed with the customer. If an order is cancelled, whether by the customer or by CHE REGALI - G.M.B.H due to non-acceptance of order, CHE REGALI - G.M.B.H are at the same time requested to annul the transaction and cancel the payment. After cancellation, CHE REGALI - G.M.B.H cannot be held responsible under any circumstances for any direct or indirect damages, which may arise due to payment being delayed or not effected by the financial institution’s banking system. CHE REGALI - G.M.B.H. reserves the right to gather other information from the customer (e.g. telephone number) or to require the customer to send documents in order to prove credit card ownership. If those are not sent, CHE REGALI - G.M.B.H may refuse to accept the order due to non-receipt of the requested documents. Circular cheque made payable to CHE REGALI - G.M.B.H. If payment of the purchased goods is made by money order, the goods ordered by the customer are held until receipt of the transfer voucher, which must be sent (by fax or e-mail) to CHE REGALI - G.M.B.H no later than 3 (three) working days from acceptance of order. The goods ordered will be despatched only upon receipt of payment into the account of CHE REGALI - G.M.B.H., which must take place within 7 (seven) working days after acceptance of order. For every order, CHE REGALI - G.M.B.H issues an invoice for the goods sold and send it by e-mail to the customer, as prescribed in Article 14 DPR 445/2000 and Legislative Decree 52/2004. The invoice is based on details provided by the customer when ordering. Once the invoice has been issued, it is not possible to change these details. Delivery charges are paid by the customer and are clearly set out in the invoice. The delivery date may depend on the availability of the goods and is communicated upon acceptance of the order. CHE REGALI - G.M.B.H. accepts no responsibility for delays in acceptance of order or delivery. Purchase is made with upper floor delivery, if scheduled. Any damage to the packaging and/or the product or incorrect number of pieces or details must be expressly noted on the carrier’s delivery sheet (giving the reason, e.g. “crushed packaging”, etc. ), and the goods should not be signed for. If the customer signs the delivery sheet, he can make no further claims in relation to the external condition of the delivered goods. Any problems relating to the condition of the goods, discrepancies or completeness of the delivery must be communicated to CHE REGALI - G.M.B.H. within 7 (seven) days of delivery by one of the methods set out in this document. In accordance with Article 5 of Legislative Decree 185/1999, the customer, if he is a consumer (i.e. a physical person who is buying the goods for purposes not connected to his trade, business or profession) has the right to cancel an order for any reason without explanation and without penalty, except as set out in items 5.4 and 5.5). Cancellations may also be notified within the above-mentioned 10 (ten) working days by fax or telegram, to be followed within 48 (forty eight) hours by a registered letter with return postage. Upon receipt of the notice of cancellation, CHE REGALI - G.M.B.H. will advise the customer of the returns procedure for the goods, which must be received by CHE REGALI - G.M.B.H. within 10 (ten) days of the authorization. The goods must be returned in full, in their original packaging, in their original condition and with no signs of use, as prescribed in items 5.3 and 5.5. On arrival in the depot, the product is checked for any damage or changes which cannot be ascribed to the transport. If the original packaging is damaged, CHE REGALI - G.M.B.H. will retain a percentage of the refund amount not exceeding 10% of the total to help cover refurbishment costs. The right of cancellation is forfeited if the basic conditions of product integrity are not met (packaging and content), and if CHE REGALI - G.M.B.H. ascertain that the product has been mishandled, thus compromising the integrity of the product or resulting in damage. In this case, the goods will be stored at the offices of CHE REGALI - G.M.B.H., where the customer can collect them at his own expense. All products sold by CHE REGALI - G.M.B.H. are covered by the normal manufacturer’s guarantee and by the 2-year guarantee against defects, in accordance with Legislative Decree 206/05. The 24-month guarantee in accordance with Legislative Decree 206/05 covers all defective products, as long as they have been used correctly according to the instructions and any accompanying technical documentation. This guarantee is limited to the consumer (i.e. a physical person who is buying the goods for purposes not connected to his trade, business or profession). In the case of defective products, CHE REGALI - G.M.B.H. will either repair or exchange the product at no further cost to the customer, or offer a price reduction, or agree to the cancellation of the contract. Should CHE REGALI - G.M.B.H., for whatever reason, not be in a position to supply the customer with a product (through refurbishment or exchange) as required by the guarantee, then they will at their own discretion and taking into account the amount of use of the product, give the customer a refund on the product or replace the product with another product of similar value. All personal details collected during the ordering process are used only to fulfil the express wishes of the customer. They are never passed on to third parties. CHE REGALI - G.M.B.H . guarantees to protect their customers‘ personal details in accordance with Legislative Decree 196/03. The controller of the personal data is CHE REGALI - G.M.B.H. All complaints must be addressed to CHE REGALI - G.M.B.H. The purchase contract between the customer and CHE REGALI - G.M.B.H. is considered to be made in Italy and is regulated by Italian law. If the customer is a consumer, then the laws of his place of residence prevail; all other cases are governed solely by the regional court in Bozen.